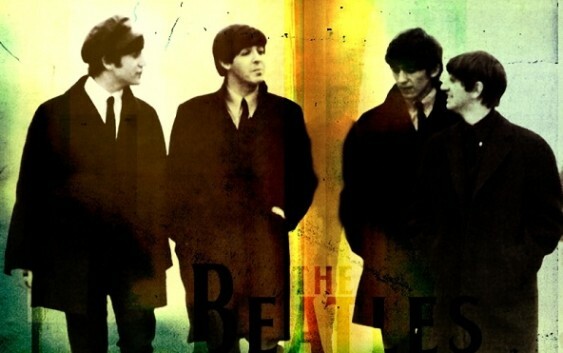 In 1964, four little known about lads that called themselves The Beatles released their first recordings in the U.S., and on February 9, 1964 at 8pm, the Fab Four made their U.S. television debut on The Ed Sullivan Show. And music – and the world – would would never be the same. That story has been chronicled countless times. But what has not been discussed has been the effect of the British Invasion on the evolution of music in Hawai’i. As has been discussed in this blog previously, Hawaiian music took some very interesting – albeit expected – turns in the 1960s. With statehood and the jet plane came the need for Hawai’i’s musicians to remain relevant for the burgeoning tourist crowd – not necessarily for record sales, but certainly to remain viable as Waikiki club acts. Traditional Hawaiian music and hula began to share nightclub and record store shelf space with rock-and-roll, bossa nova, and even go-go. Once The Beatles were “the thing,” this, too, became a force for the local musicians to reckon with. One arranger in Hawai`i in particular took notice. Benny Saks (the former Benjamin Sakamoto) was a pianist, vibraphonist, and arranger with such notable Hawaiian music legends as Pua Almeida. But in the 1960s, he masterminded a new sound in Hawaiian music by combining these same elements with which The Beatles were experimenting – either inspired by or in spite of their success. If most of the Hawaiian music recording output in the 60s was rooted in tradition – Genoa Keawe, The Sons of Hawaii, the Kahauanu Lake Trio, and the entire Hula Records roster come to mind – Saks went on to arrange some of the most notable modern Hawaiian music on record for such artists as Marlene Sai, Billy Gonsalves and the Paradise Serenaders, Iwalani Kahalewai, Kai Davis, Myrtle K. Hilo, Leinaala Haili, Frank and Kathy Kawelo, and – leading the pack with the most collaborations with Saks – Bill Kaiwa. Ho`olohe Hou Radio will honor the February anniversary of The Beatles arrival in the U.S. all month long by spinning their compositions performed by the local Hawai`i artists named above as well as the groundbreaking Beatles-influenced sides arranged by Benny Saks.